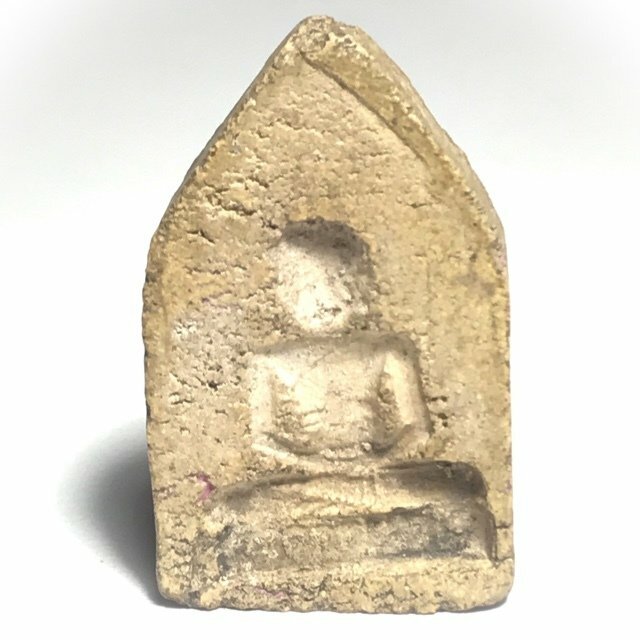 Pra Khun Phaen Hlang Ajarn Kong (Hlang Baeb convex image in rear face), from the year 2509 BE, released at the Samnak Wiharn Tam Khun Phaen Utis, in Naratiwas, and blessed in Ceremony by a host of the Greatest Khao Or Lineage Masters of that Era, with special empowerment from the great Lay Master Ajarn Chum Chai Kiree, of the Dtamnak Kunjae Saiyasaret Dtak Sila Khao Or Lineage. 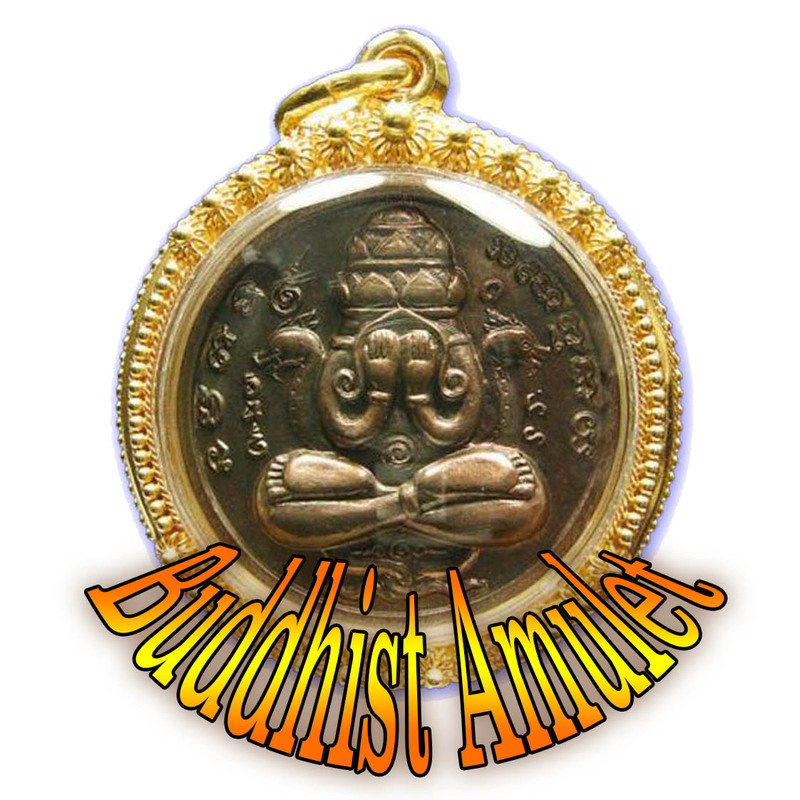 Released in the year 2509 BE, this amulet is an extreme rarity, so very difficult to find in the present day. 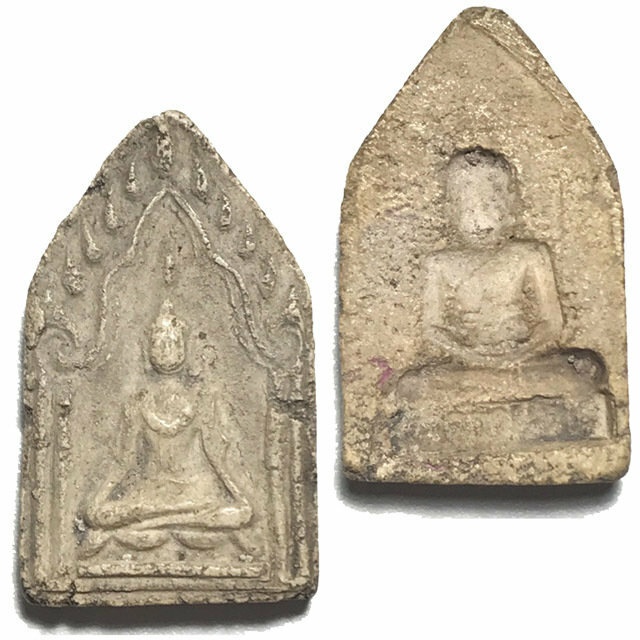 The fact of Ajarn Chum's collaboration with this edition can be seen both in the presence of Muan sarn powders from Ajarn Chum in the amulets themselves, as well as the fact that a batch of these amulets were found stored at Ajarn Chum's samnak, because he took some back from the ceremony at Samnak Wiharn Tam, to distribute to his own Looksit. The Samnak records the event as having been blessed with the ceremonial presence of Ajarn Kong and Khun Phaen, through mediumship of Ajarn Chum Chai Kiree. 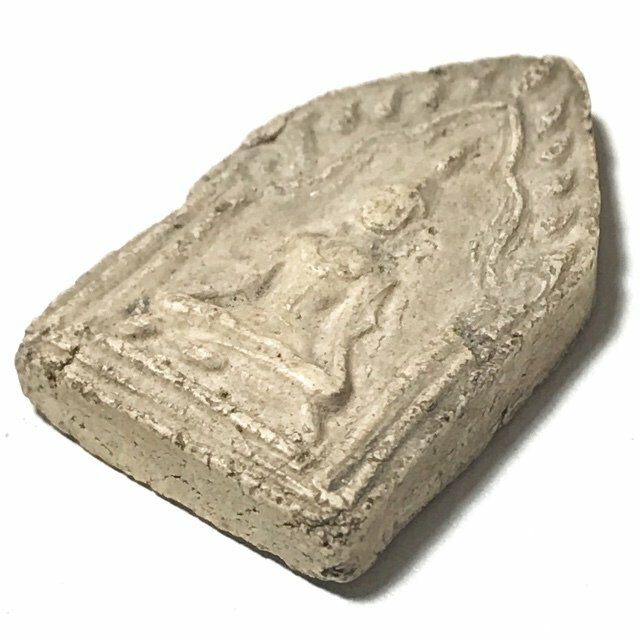 The Khun Phaen Hlang Baeb is an inner secret of the true devotees and collectors of amulets of Ajarn Chum Chai Kiree, but is less heard of by those outside this niche. 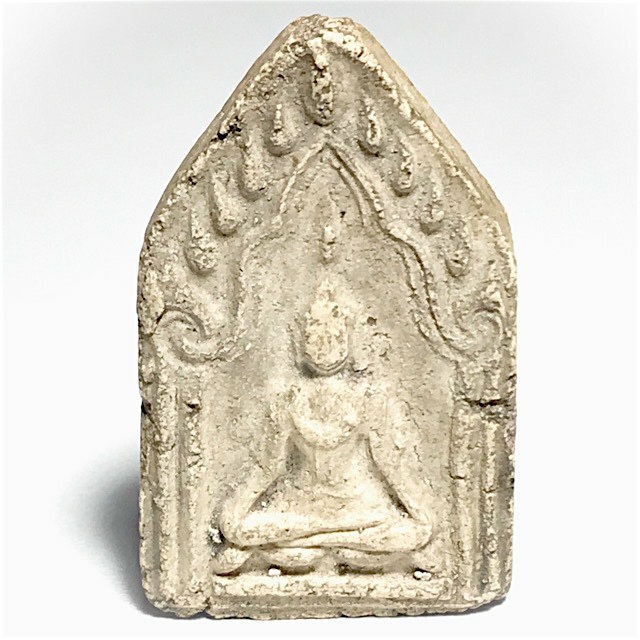 The front face features the image of a Buddha seated in the Lersi style posture of meditation, with one hand on each knee. The rear face of the amulet has the image of the Great Ajarn Kong, impressed into the rear face in concave indented form (Hlang Baeb). 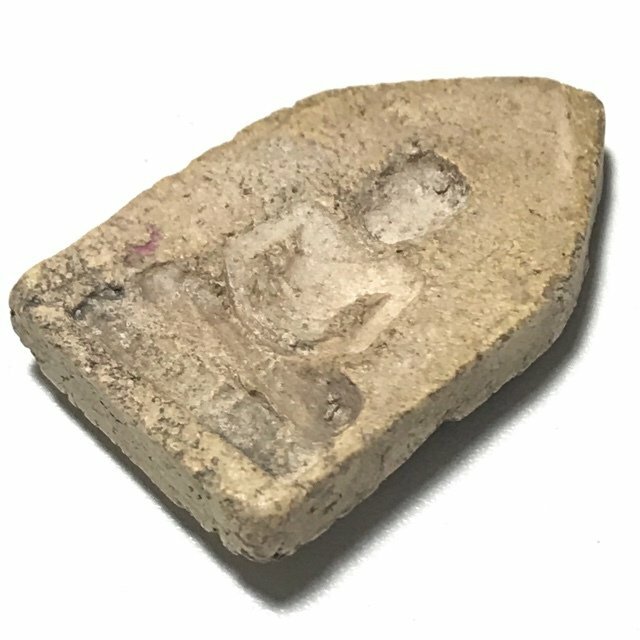 Ajarn Chum Chai Kiree performed a special ceremony of 'Pratap Song' Mediumship, to allow the spirits of Pra Khun Phaen and Pra Ajarn Kong to enter him and use his body to perform empowerment and blessings on the amulets. Luang Por Kong was abbot of of Wat Kae, in Supannburi (Wat Tan) who lived during the time that Ayuttaya was the Royal Seat, and was the first Ajarn of Khun Phaen himself. The Luang Por Kong of Ancient Fame created the Pra Khun Phaen Ruean Gaew and gave to Khun Phaen himself for protection and blessings. Ajarn Chum was a connected Medium of Ajarn Kong, and was able to invoke his spiritual presence. Ajarn Chum Chai Kiree was a Sorceror of truly supernatural ability, who was already immersed in the world of Occultism at the age of 5, and was even then able to use a mere two word Incantation to hypnotize any kind of poisonous snake into submission. 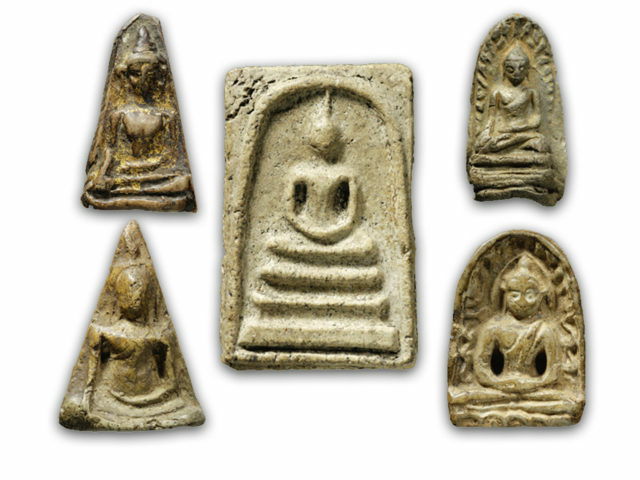 Second to none for truly potent Magical Power, Ajarn Chum commands a top position in the History of Thai Buddhist Amulets and the Status of Occult legend. Ajarn Chum was arguably the most powerful and famous Laymaster of all Thai Occult History, and his amazing miraculous feats of Magickal Prowess are still the talk of every Samnak Saiyasart around the country, even now so many years after his passing. His public shows of Miraculous Magick, has amazed a whole generation of faithful devotees. The gun exploded and broke in half the next time it was used to shoot with. These events caused the villagers to believe in his powers, and have faith in his Magick. When he reached the age of Ordination, he ordained under Pra Ajarn Kong and stayed at Wat Chai Mongkol, until his disrobing. After this, he studied hard further as a Lay Practitioner and studied the Buddha-Dhamma. These events caused the villagers to believe in his powers, and have faith in his Magick. When he reached the age of Ordination, he ordained under Pra Ajarn Kong and stayed at Wat Chai Mongkol, until his disrobing. After this, he studied hard further as a Lay Practitioner and studied the Buddha-Dhamma.